and Charlottenburg - here is the perfect set of maps. Buy four travel guides and pick one additional map for FREE. You can choose from BeautyBerlin, BeerBerlin, VeganBerlin, QueerBerlin, GDR Berlin and YogaBerlin. 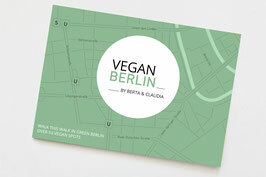 VeganBerlin is a locally-curated collection of colorful vegan and healthy gems, crafted so you can explore Berlin with fun, ease and lots of good karma. I teamed up with eco enthusiast Claudi to create the perfect conscious getaway in Berlin. In this travel guide you will find three walks through Berlin’s most creative neighborhoods and a selection of our favorite ethical restaurants, cafés, shops, urban gardens and activities in Berlin, where (non-)vegans will have the best time. Find out why going green is such a big trend in Berlin and walk & taste your way through the city. 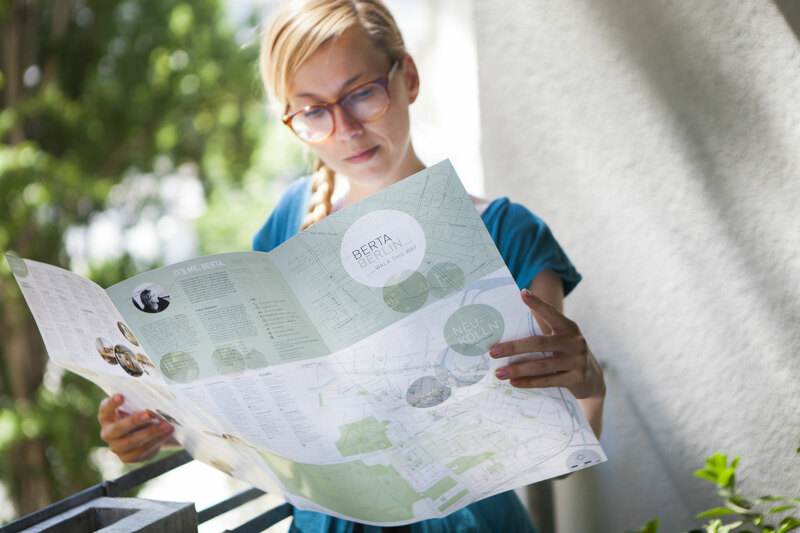 The pocket-size folding map includes sights and attractions not to be missed in addition to the word on the street to make the most of your experience. Find yourself searching for the perfect play- ground? 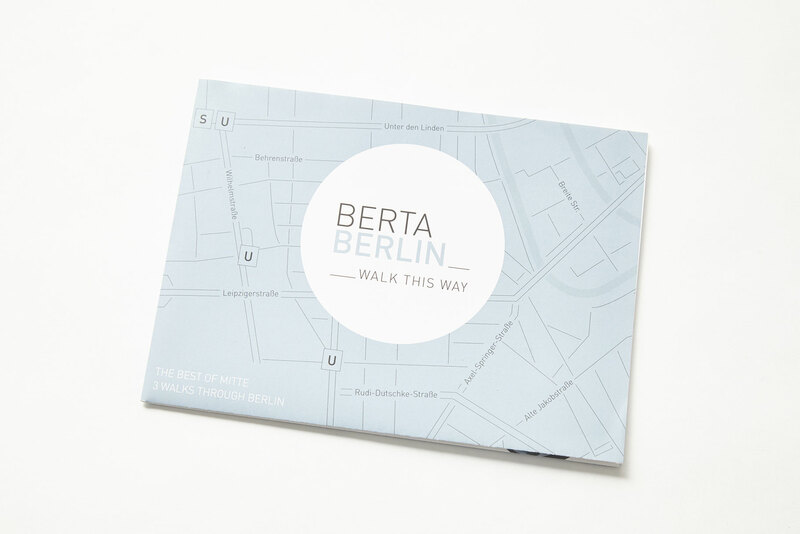 Fear not, Berta with the help of Jannes from @berlinplaygroundguide have your back. We have scoured Berlin looking for the best destinations to have fun with children. From playgrounds, farms for children to the Teddy‘s concert at Deutsche Staatsoper Berlin or the flashlight tour for children at Museum für Naturkunde; we found so many awesome spots that I decided to publish a new map PlayBerlin for parents and children. I hope you enjoy the selection! PlayBerlin is a curated collection of playful spots composed so that you can explore the playgrounds and family cafés of Berlin with ease. I designed three walks from breakfast through amazing playgrounds, ice cream shops, museums and beer gardens. Berlin is an amazing place for children with adventures around every corner. Let me take you on a walk through my city. This map the DDR Museum and I dedicated to the GDR, we would like to take you on a walk through the past. The GRD map is a locally-curated collection of spots crafted so you can explore East Berlin with ease through a series of suggested city walks. The guide map includes GDR sights and attractions not to be missed to make the most of your experience. Take a seat in the Trabi ride, climb up the ladder of the GDR Watchtower and experience the same view as the East German border soldiers or simply enjoy a currywurst at Konnopke. Let us take you on a journey and explore all aspects of daily life behind the Berlin Wall! BerTaiBerlin is a special locally-curated collection of hidden gems in MOABIT, crafted so you can explore this unpretentious charm district with ease. It is located off the tourist trail – although just a short distance from the city‘s best known sights - it‘s the perfect place to experience an authentic local Berlin. I teamed up with Tai to create the perfect conscious getaway in Moabit. In this travel guide you will find three walks through Moabit and Berlin’s most creative neighborhoods and a selection of our favorite restaurants, laundry salon with Ahoj-Brause, calisthenics workout spots, oldtimer collection at Classic Remise and much more, where (non-)Berliners will have the best time. The city walks are designed to guide you effortlessly through Berlin Moabit to the most exceptional sights. Come and go to as many or few that suit you. 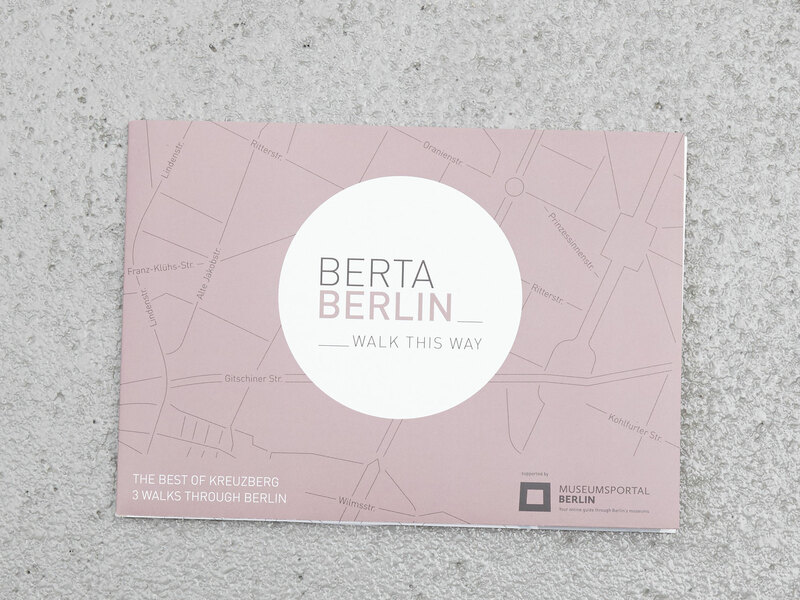 BertaBerlin is a locally-curated collection of secret spots and hidden gems in PRENZLAUER BERG crafted so you can explore this district with ease by way of simple suggested walks, or more spontaneous choose-your-own-adventure routes. 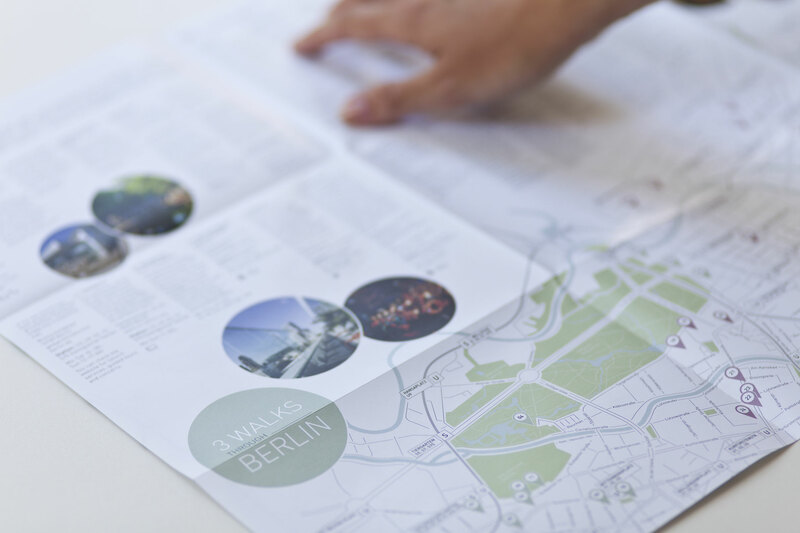 The guide map includes the must-see sights and attractions to make the most of your experience here in Berlin. 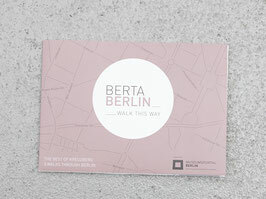 In this travel guide you will find three walks through Prenzlauer Berg and Berlin's most creative neighborhoods and a selection of my favorite restaurants, hair salon, planetarium, unique gift shops, climbing spot, ice cream shops and much more, where (non-)Berliners will have the best time. The city walks are designed to guide you effortlessly through Berlin Prenzlauer Berg to the most exceptional sights. Come and go to as many or few that suit you. In my travel guides, I discover city walks and write about the hidden gems of the city. I know that sometimes it takes a little more than gear to get out and get moving which is why I designed a YogaBerlin map x lululemon to help you in your sweatiest pursuits. I hope you enjoy the recommended yoga studio, soul food places and activities in Berlin. You can also find the YogaBerlin map in the lululemon stores in Berlin. In this Travel Guide you will find three city walks through Berlin and a selection of bars, restaurants, cafes, street markets and more in Charlottenburg. The Pocket Guide is a locally curated collection of hidden gems crafted so you can explore Berlin and especially in Charlottenburg with ease. Finding yourself searching for great beauty salons or nail bars? Fear not, Berta has your back. I've scouted Berlin looking for the best beauty destinations. From a Mitte nail bar capable of some of the most intricate designs I've seen to magazine and vintage stores and Berlins best beauty destinations, discover some of the best below. BeautyBerlin is a curated collection of beauty spots created for you to easily explore the spas and salons of Berlin. I designed relaxing tours through cosmetic studios, lifestyle shops, boutique fitness studio to healthy vegan soulfood restaurants. Join me for once-in-a-lifetime treatment in Berlin. From street markets, restaurants, cafes, bars, clubs and activities, you will find many travel options for every budget in Berlin and especially in Mitte. The travel guide also features exclusive highlights in the much-loved district of Mitte, along with detailed maps and photos to help you discovering the German capital. QueerBerlin is a locally-curated collection of LGBT-friendly gems crafted so you can explore Berlin with ease by way of simply suggested city walks. The travel blogger Adam and me teamed up to create the perfect weekend or start in Berlin. In this travel guide you will find three walks through Berlin and a selection of bars, restaurants, cafés, clubs and parties in Berlin, where gay and lesbian can have their pick. 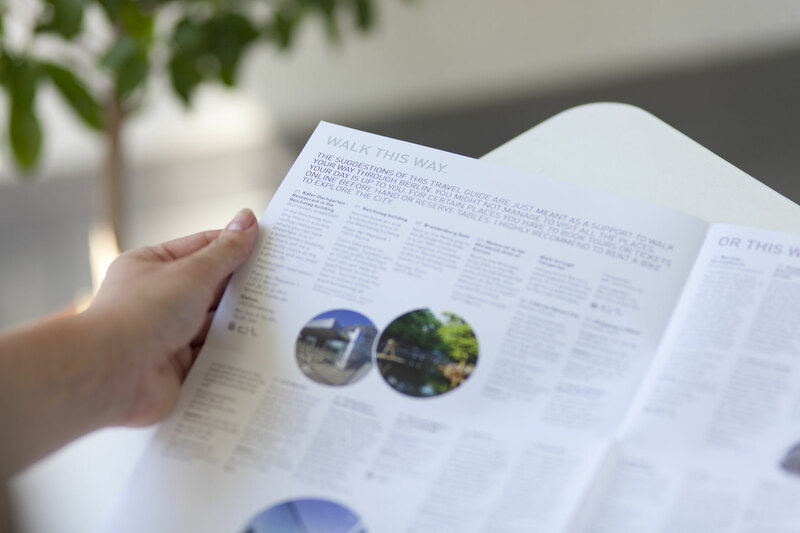 The pocket-size folding map includes sights and attractions not to be missed in addition to the word on the street to make the most of your experience. In this Travel Guide you will find three city walks through Berlin and a selection of bars, restaurants, cafes, street markets and more in Kreuzberg. The Pocket Guide is a locally curated collection of hidden gems crafted so you can explore Berlin and especially in Kreuzberg with ease. From street markets, clubs and more, you can choose from boundless options for every budget in Berlin. All locations are labeled, so that you see, where you can pay with credit card or if the locations offers wifi. This MINI Pocket Guide is a locally curated collection of secret spots and hidden gems crafted so you can explore Berlin with ease by three suggested city walks. From street markets, restaurants, cafes, bars, clubs and more, you will find boundless options for every budget in Berlin and especially in Neukölln. 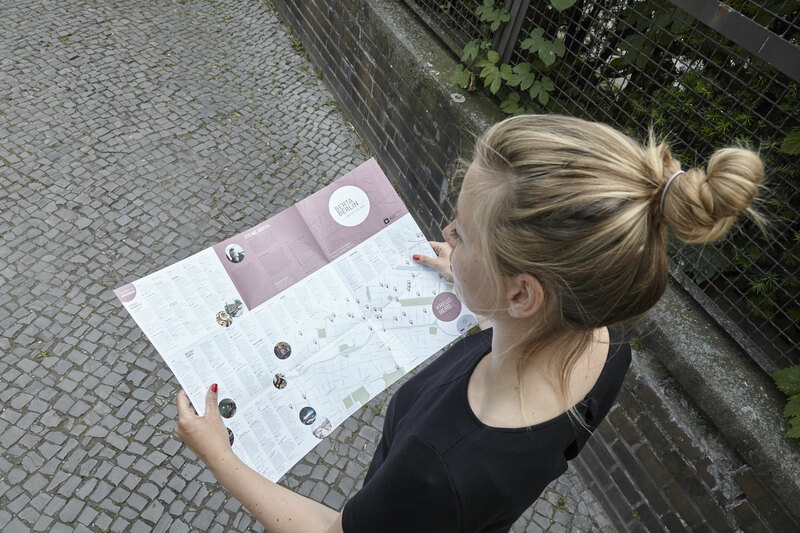 As the one side of the pocket guide features even more exclusive highlights in the much-loved district of Neukölln, along with detailed maps and photos to help you find your own way. BeerBerlin is a locally-curated collection of colorful beer gems, crafted so you can explore Berlin with fun, ease and lots of good karma. In this travel guide you will find three walks through Berlin’s most creative neighborhoods and a selection of my favorite restaurants, beer gardens, breweries and activities in Berlin, where (non-)beer fans will have the best time. Find out why handcrafted beer is such a big trend in Berlin and walk & taste your way through the city. 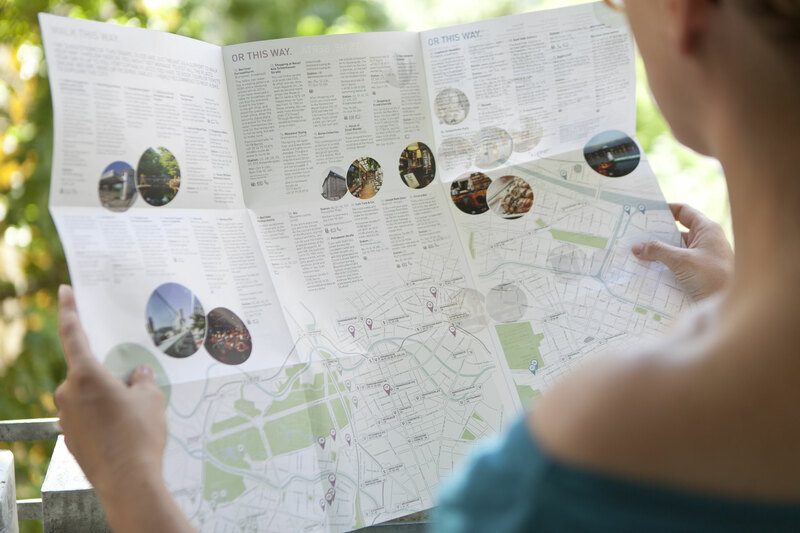 The pocket-size folding map includes sights and attractions not to be missed in addition to the word on the street to make the most of your experience. I did create an app to my BertaBerlin maps with Actionbound. I started with one city walk through Berlin Tiergarten. This walk starts with a breakfast suggestion and guides you to the most exceptional sights such as the Reichstag, beer gardens off the beaten path in Tiergarten and of course cafés, restaurants and bars. Just download the Actionbound-app in App Store or with Google Play and search for "BertaBerlin" or scan the QR-Code with Actionbound-App.